As Iron Maiden started to announce the 4th and final leg of the Somewhere Back In Time Tour, I began to wonder where could I go to see them. Dubai was the closest and cheapest place to go, but still the plane ticket was very expensive to stay just a few days. 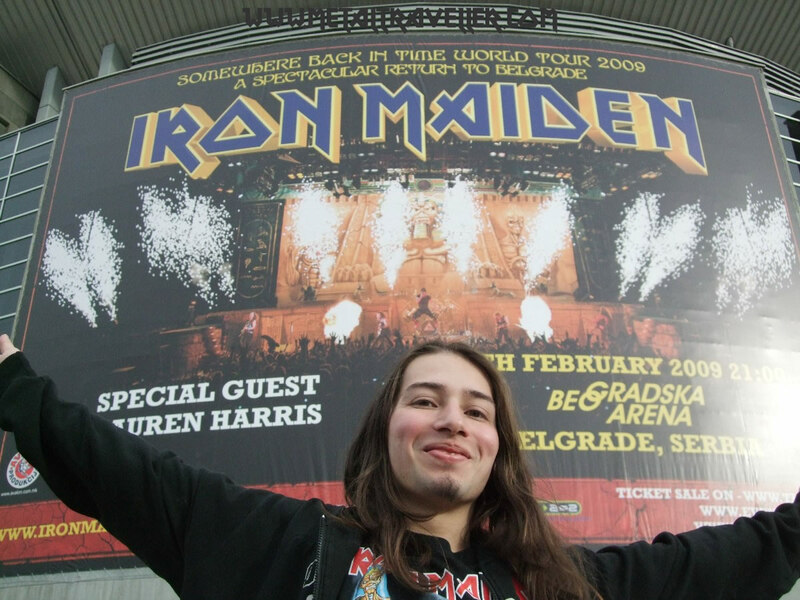 Then by November 2008 they announced a unique concert in Europe: Belgrade, Serbia, on February 10. This was going to be the first date of the tour, and it just sounded perfect to me! 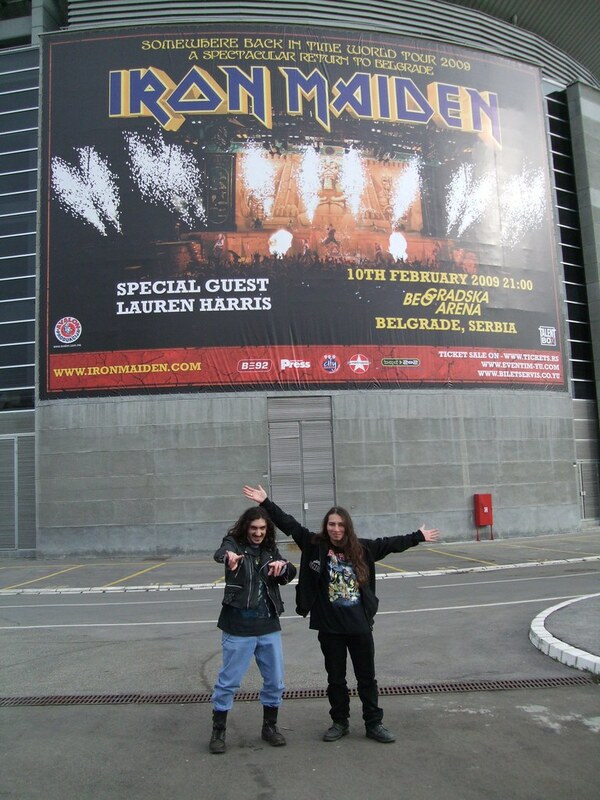 To read my review of the Iron Maiden concert in Belgrade, please click here. The only problem is that there are no low cost airlines between my country and Belgrade. The only places where you can find very cheap air travel to Belgrade are Norway (with Norwegian Air Shuttle) and Germany (with German Wings). Another option was to fly to Budapest with Easy Jet and then ride the train to Belgrade. That’s what two of my friends did. Finally I decided to go through Stuttgart. As you know, I love Germany so I wasn’t going to miss the opportunity of being there for a night. Also, in Stuttgart there’s my friend Marc. Then I saw a message at the Iron Maiden fan club forum on the Internet from someone selling 2 tickets for the show in Belgrade. That was Douglas, and he lives near Stuttgart. Since there’s the high speed train (TGV or ICE), no more low cost airlines fly between Paris and Stuttgart. From Stuttgart I flew low cost carrier German Wings to Belgrade. On my way back (Wednesday) I flew Jat Airways to Düsseldorf and on the same day Air Berlin back home. It all got a lot cheaper and far more amusing that just buying a round trip, but it involved a lot of planning. As the concert was on Tuesday I had 4 days off from my job, enough to visit a bit of Serbia. On friday I took the TGV to Stuttgart, walked around the city, and went to Filderstadt, a city near Stuttgart Airport. Lordi was playing in Filderstadt and I had an appointment with Marc and Douglas at the concert. We enjoyed the show and did a great party afterwards, with lots of beer and some schnapps! Somehow I managed no to miss my German Wings plane on the next day. All in all, the trip lasted for 6 days. Visited Countries: Germany, Serbia (including Kosovo). Visited Cities and places: Stuttgart, Filderstadt, Belgrade, Prizren, Prishtina, Gračanica, Novi Pazar, Đurđevi Stopovi Monastery, Sopoćani Monastery. Discover Croatia’s fabulous coast and Slovenia’s Alpine splendours. Party all night in Belgrade, then hide behind your shades as you stroll among Tirana’s wildly coloured buildings. Uncover the diverse culture, from Macedonia’s sumptuous Ottoman bazaars to Bosnia’s melange of mosques, churches and synagogues. Make your classic Balkan journey with the only guide to cover all of this fascinating region.